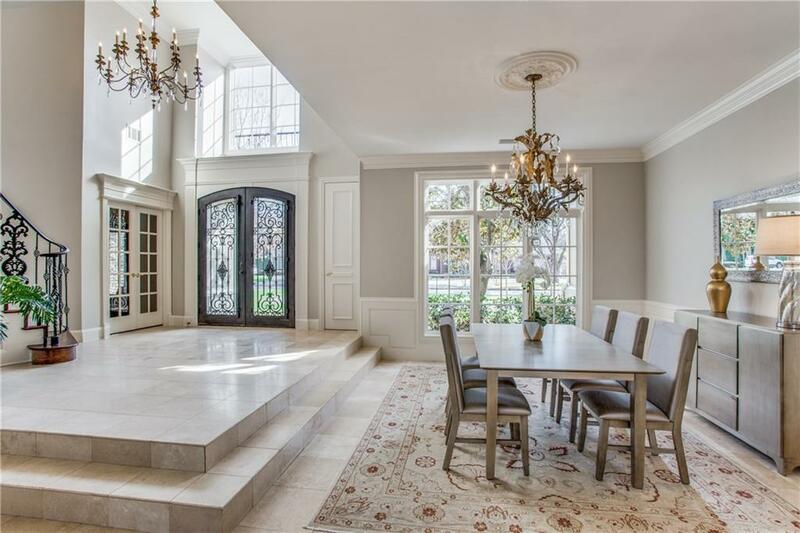 Situated in the Prestigious Preston Hollow, just minutes from restaurants, shops and schools. 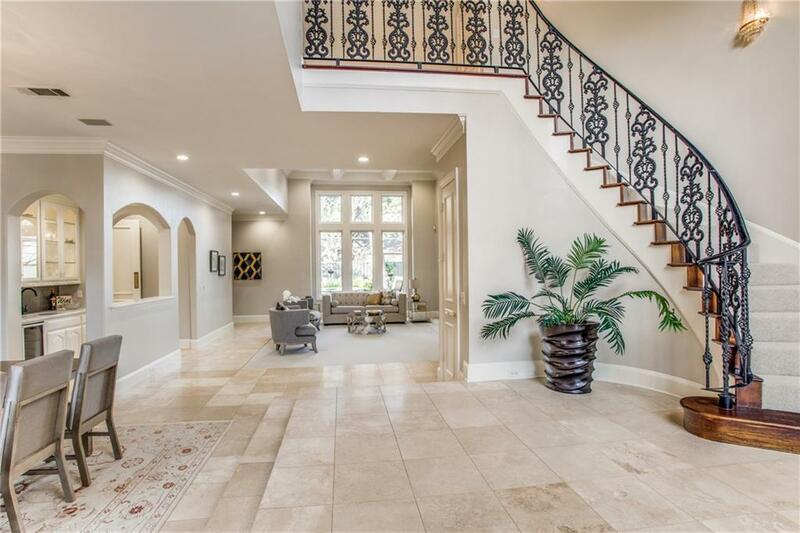 Two story entry with grand staircase, ceiling to floor windows welcome you into the formal living and dining areas with a view of the backyard oasis. Updated gourmet kitchen overlooking the family room boasts quartz counters, white cabinets, over sized sub zero, dual dishwashers, gas cook top, island and breakfast bar. Downstairs Master Suite w sitting area. Remodeled spa- like bath featuring a neutral palette. Large walk-in closet, marble counters, dual vanities, separate shower, garden Tub. 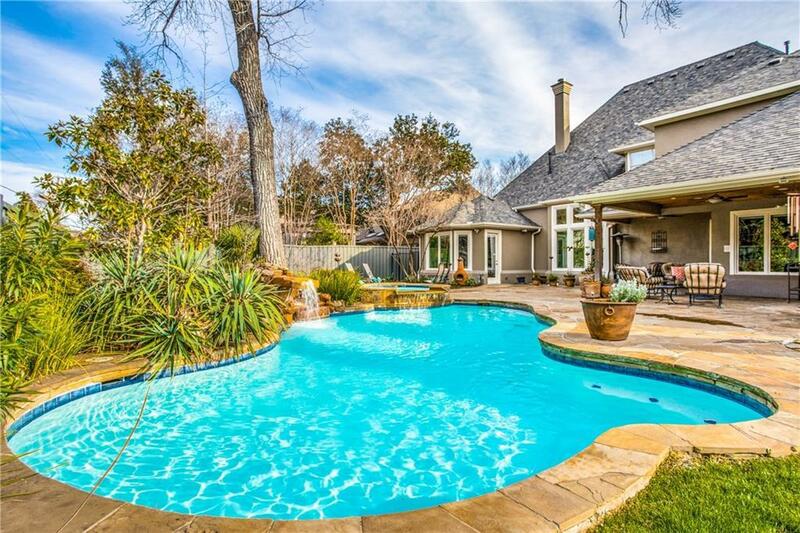 Family fun backyard with pool, water feature, covered outdoor living area. Perfect for family living & large entertaining! Offered by Jude Nash of Ebby Halliday, Realtors. © 2019 North Texas Real Estate Information Systems. All rights reserved. IDX information is provided exclusively for consumers' personal, non-commercial use and may not be used for any purpose other than to identify prospective properties consumers may be interested in purchasing. Information is deemed reliable but is not guaranteed accurate by the MLS or eXp Realty | The Tierny Jordan Network. The data relating to real estate for sale or lease on this web site comes in part from NTREIS. Real estate listings held by brokerage firms other than eXp Realty | The Tierny Jordan Network are marked with the NTREIS logo or an abbreviated logo and detailed information about them includes the name of the listing broker. Data last updated 2019-04-20T09:41:22.553.